Here is a list of frequently asked questions concerning Billy the Kid. For more quick information on Billy the Kid, my other web pages Fact vs. Myth , Did you know...? and Miscellaneous may also interest you. 1) Who were Billy the Kid’s parents? What was his real last name - Bonney or McCarty? What was his birth date? 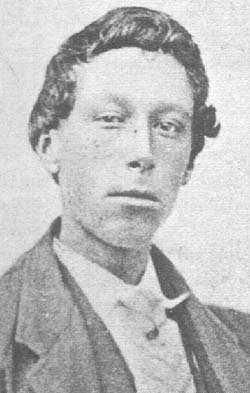 2) How did William H. Bonney get the title of "Billy the Kid?" 3) My last name is Bonney, so I think I may be related to Billy the Kid, so how can I trace my family roots to him? OR I’m related to Billy the Kid and have never-before-told info on him, but how can I convince historians? 4) Where can I buy pictures or posters of Billy the Kid? Where can I buy Billy the Kid memorabilia? 5) In the famous photograph of Billy the Kid, what kind of firearms is he posing with? 6) To put an end to the controversy of Billy the Kid living to be an old man, why not exhume Billy the Kid’s grave (or even his mother’s grave) for DNA testing? 7) Are the movies Young Guns and Young Guns II accurate on the history of Billy the Kid? 8) I’m taking a trip to New Mexico, any Billy the Kid tourist attractions you can recommend? 9) Were Billy the Kid and Pat Garrett friends? Did Garrett ride with Billy the Kid? 11) Was Billy the Kid ever married? Did he have any children? 13) What’s the Billy the Kid Outlaw Gang Organization and how can I become a member? 14) What's the Billy the Kid Historic Preservation Society and how can I become a member? 15) Is Pat Garrett’s The Authentic Life of Billy the Kid a good book to read for those just learning about Billy the Kid? 16) I want to learn more about Billy the Kid, where should I start? 17) My youngster is doing a report on Billy the Kid, any kid-friendly books or movies you can recommend? 18) If Billy the Kid never existed would the Lincoln County War have turned out any differently? 19) What kind of wounds or injures did Billy the Kid have? Was he ever shot during his gunfights? 20) Other than the famous tintype of Billy the Kid posing with his rifle, are there any other photographs or images of Billy the Kid? 22) What's all this talk about a posthumous pardon for Billy the Kid? Was Billy the Kid pardon by Gov. Bill Richardson of New Mexico? Question: Who were Billy the Kid’s parents? What was his real last name - Bonney or McCarty? What was his birth date? Question: How did William H. Bonney get the title of "Billy the Kid?" Question: My last name is Bonney/McCarty, so I think I may be related to Billy the Kid, so how can I trace my family roots to him? OR I’m related to Billy the Kid and have never-before-told info on him, but how can I convince historians? Question: Where can I buy pictures or posters of Billy the Kid? Where can I buy Billy the Kid memorabilia? Question: In the famous photograph of Billy the Kid, what kind of firearms is he posing with? Question: To put an end to the controversy of Billy the Kid living to be an old man, why not exhume Billy the Kid’s grave (or even his mother’s grave) for DNA testing? Question: Are the movies Young Guns and Young Guns II accurate on the history of Billy the Kid? Question: I’m taking a trip to New Mexico, any Billy the Kid tourist attractions you can recommend? Answer: From my own Billy the Kid road trip experience, my favorite place was Historic Lincoln, also know as Old Town Lincoln, about 40 miles northeast of Ruidoso. This historical town not only consists of the original buildings of Billy the Kid’s day, but also has a visitor's center which has a museum and gift shop, and annual events (for instance, on the first weekend of August there’s a Billy the Kid pageant). The surrounding area of Lincoln has a lot of historical sites to see relating to Billy the Kid and one way to see it is on the Billy the Kid National Scenic Byway, which will take you on a loop through Billy the Kid country. Also nearby there is White Oaks (which is pretty much a ghost town) and San Patricio, which Billy the Kid frequently visited almost as much or more than Lincoln. Also in the area, there's Ruidoso where the Hubbard Museum is located (the museum is also called the Museum of the Horse, but has a lot on the Old West, Native American and Southwest history). If you like to gamble, you can’t miss the famous Ruidoso Downs Racetrack and the Billy the Kid Casino. If you have an interest in Billy the Kid and the Old West, there’s plenty of stuff to do and see in the beautiful Ruidoso and Lincoln area and I don’t think you’ll be disappointed. Question: Were Billy the Kid and Pat Garrett friends? Did Garrett ride with Billy the Kid? Question: Is this photo of Pat Garrett's posse and their prisoner Billy the Kid authentic?
? 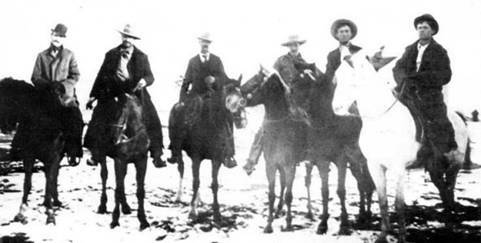 ?Pat Garrett (far left) & Billy the Kid (far right)?? Question: Was Billy the Kid ever married? Did he have any children? 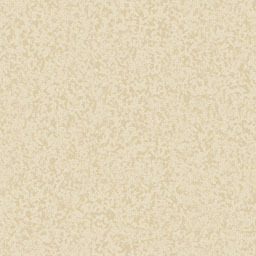 Question: Is Paulita Maxwell's son, Telesfor Jaramillo, the son of Billy the Kid? Who was Telesfor Jaramillo? Fred Nolan stated, "The photograph in my book, which I was told by genealogist Pauline Jaramillo in the late 1980s was Telesfor Jaramillo, has now been confirmed by Bob McCubbin, to be William "Julian" Maxwell, the half-Cheyenne boy adopted by the family who died of smallpox in 1877 at age 20 (the story is in Henry Hoyt's FRONTIER DOCTOR)." Mr. Nolan also commented, "The article "The Private Life of Billy the Kid" appeared in the July 2000 issue of TRUE WEST. They (not I) asked on the cover featuring the "Telesfor" photo "Is this Billy the Kid's son?" whereas in the body text inside the magazine I had stated quite clearly that Telesfor was not born until 1893 which disqualified him as a candidate even before we learned it wasn't a photo of him anyway." So there we have it, from Mr. Nolan himself, that this photo is not the son of Billy the Kid, nor is it even Telesfor. Question: What’s the Billy the Kid Outlaw Gang Organization and how can I become a member? Question: What's the Billy the Kid Historic Preservation Society and how can I become a member? Question: Is Pat Garrett’s The Authentic Life of Billy the Kid a good book to read for those just learning about Billy the Kid? Question: I want to learn more about Billy the Kid, where should I start? Question: My youngster is doing a report on Billy the Kid, any kid-friendly books or movies you can recommend? Question: If Billy the Kid never existed would the Lincoln County War have turned out any differently? Question: What kind of wounds or injures did Billy the Kid have? Was he ever shot during his gunfights? Question: Other than the famous tintype of Billy the Kid posing with his rifle, are there any other photographs or images of Billy the Kid? Question: Is that Billy the Kid's original grave and/or headstone in Fort Sumner? Is it true someone snuck into the cemetery and chiseled the word "Pals" on the headstone? ...there are 3 side-by-side graves, the Kid's is on the far right. The large stone has the 3 names on it as well as the "Pals" inscription. Question: What's all this talk about a posthumous pardon for Billy the Kid? Was Billy the Kid pardon by Gov. Bill Richardson of New Mexico? Answer: The answer is no. For the last several years Billy the Kid supporters had approached Gov. Richardson to give Billy the Kid a posthumous pardon. Why? We need to go back to March of 1879. Gov. Lew Wallace struck a deal with Billy the Kid to testify against murderers on the James Dolan side of the Lincoln County War in exchange for a full pardon. Billy the Kid did exactly as promised and not only did he risk his life, but he went above and beyond in fulfilling his obligations, but the governor backed out on his. After being abandoned by the governor, Billy was left to fend for himself against a bias justice system of Dolan supporters and they were bent on seeing the Kid hang. So Billy the Kid had no choice, but to escape. Over the course of two years, while dodging the law, Billy had written letters to Gov. Wallace reminding him of his promise, but the Kid's letters were ignored. The Kid was getting deeper in trouble thanks to exaggerated accusations by the newspapers that were stacking against him. The Kid was eventually captured, put on trial, found guilty, and sentence to death. On April 28, 1881 the Kid escaped jail, but had to kill two of his guards in the process. Then a few months later, Sheriff Pat Garrett caught up with the Kid and shot him dead in Fort Sumner. So now, back to the 21st century...Gov. Richardson highly consideration pardoning Billy the Kid to fulfill Gov. Wallace's promise, but he was met with opposition by descendents of the victims of Billy the Kid, as well as descendents of Sheriff Pat Garrett and Lew Wallace. In December of 2010, after years of back and forth debating, Gov. Richardson decided NOT to pardon Billy the Kid. Although Richardson believed that Gov. Wallace should've pardon Billy the Kid back in 1879, he felt that the Kid forfeited his pardon when he killed his two deputies during the jailbreak in 1881. Well, I say, if Wallace stuck to his end of the bargain, Billy the Kid never would've killed those two deputies. Wallace's failure to complete his promise not only cost Billy the Kid's life, but that of other men as well (Jim Carlyle, Tom O'Folliard, Charlie Bowdre, James Bell, and Bob Ollinger).